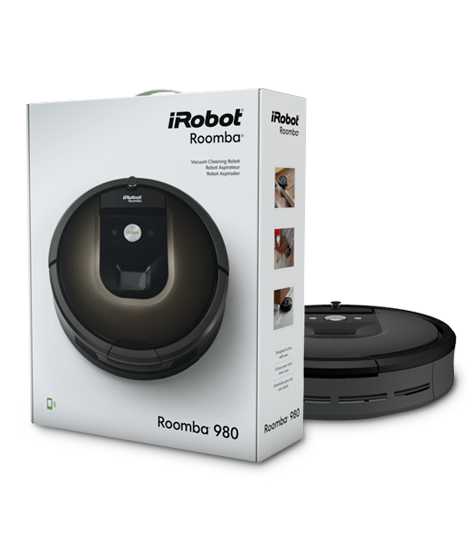 With its intuitive technology and powerful suction, the Roomba 980 Vacuum Cleaning Robot has the power to change the way you clean. Our task was to develop marketing materials and messaging as powerful as the little robot. Sometimes it helps to get swept up in the details. 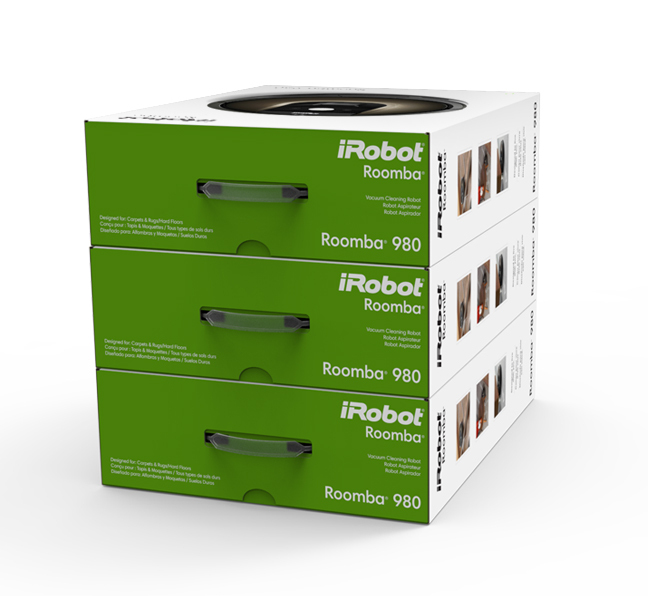 For the launch of the Roomba 980 Vacuum Cleaning Robot, our attention to detail focused on clearly conveying iRobot’s brand principles of “Smart. Simple. Clean.” Motiv designed bold packaging that portrayed the robot as hero. We also developed a strong visual brand language to communicate the unique features of the robot — such as increased cleaning power and a smartphone app — throughout every consumer and retailer touchpoint. Our design team also produced a comprehensive brand toolkit with directives on photography and illustration, as well as a messaging platform to guide internal teams and retailers on using technical and consumer-facing content. Motiv also produced a 2-minute time-lapse video to demonstrate Roomba’s cleaning power and coverage throughout the entire home. With the launch of any new product, there comes the need to streamline communication of its features and benefits across all channels — including stakeholders, retailers, and consumers. For the launch of the Roomba 980, Motiv produced a visual brand language guide in order to communicate written and visual instructions to both internal and external audiences. The guide includes models for implementing technical, conversational, and merchandising copy, as well as visual guidance on how and when to use photography, illustration, and other brand assets. 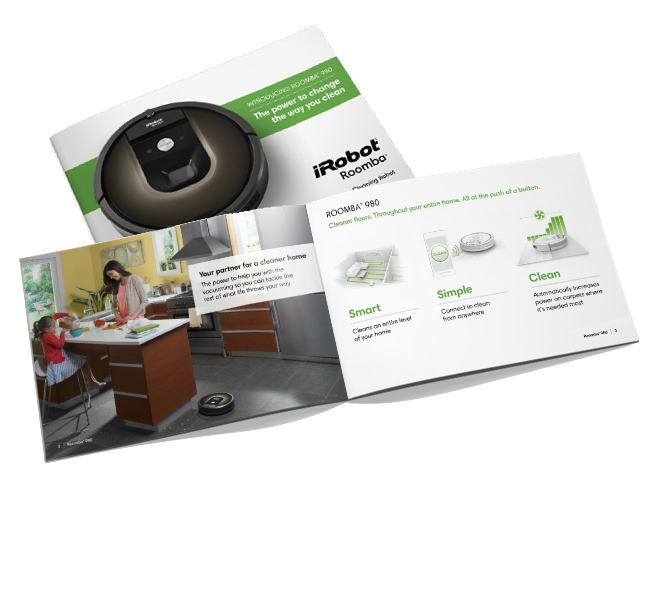 Motiv also developed collateral to help consumers understand the benefits of Roomba 980 and the entire iRobot vacuum cleaning robot category.